There are treats and there are treats! There are those that give us that little shot of sugar and get the happy vibes going and there are those that taste amazing but leave us feeling far from amazing afterwards. 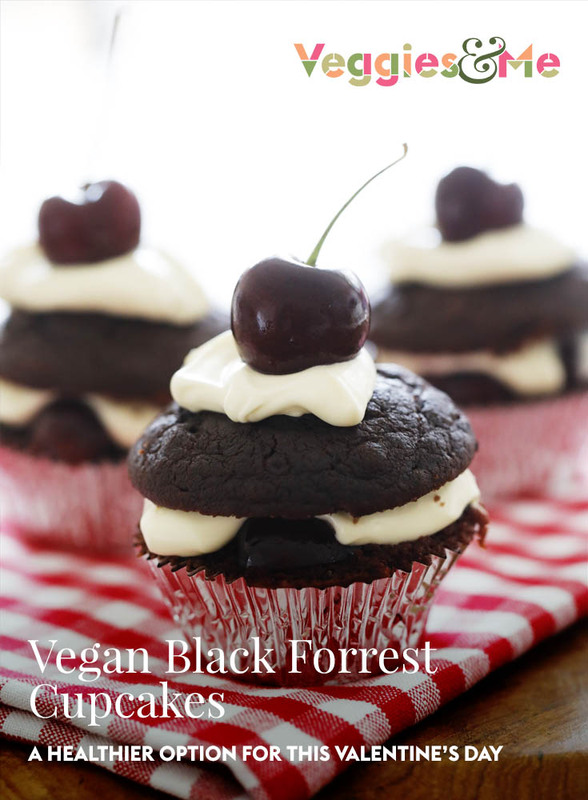 I recently cooked up a batch of Vegan Black Forrest Cupcakes for James’ birthday but these would also make a perfect Valentine’s Day treat for your loved one. Preheat the oven to 175 degrees C. Lightly grease a 12 x muffin pan. In a large bowl, whisk together flour, cocoa, baking soda, and salt. In a separate bowl, whisk together water, agave, oil, vinegar, and vanilla. Pour the wet mixture into the dry mixture and whisk until just combined. Do not over mix. Fill each prepared muffin pan evenly with batter. Bake for 15 minutes, or until a toothpick inserted in the centre of the cake comes out dry with a few crumbs clinging to it. Be sure to rotate the cakes halfway through the baking time. Cool the cakes completely before assembly. Set aside 12 cherries to garnish the tops. Remove the seed from 300g of fresh cherries. The simplest method is to sit each cherry on the top of an empty beer bottle and using a chopstick push the seed through and into the bottle. 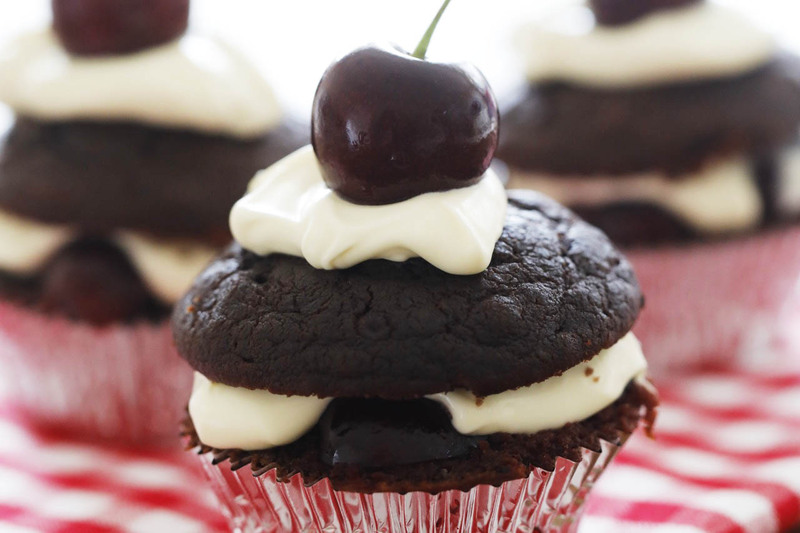 Cut each cupcake in half and spoon 1 tablespoon of cherry liqueur over the bottom half of each. Set aside for a few minutes. Assemble the cupcakes by filling each with a layer of halved cherries, a dollop of coconut yogurt, placing on the top half and finishing with another dollop of coconut yogurt and a cherry. As an optional extra grate over vegan chocolate to finish.